-- THE MEMORY BOX, debut novel of award winning author Eva Lesko Natiello is available on Amazon. Caroline Thompson, stay-at-home mom, Googles herself and discovers a past she’s unaware of in this ripped-from-the-headlines suspense. • Mashable reports: 56% of American internet users Google themselves (Pew Research Center). In this gripping thriller, privileged suburban moms amuse themselves by Googling everyone in town, digging up dirt to fuel thorny gossip. Caroline Thompson, devoted mother of two, sticks to the moral high ground and attempts to avoid them. She’s relieved to hear that her name appears only twice, citing her philanthropy. A delayed pang of insecurity prods Caroline to Google her maiden name—which none of the others know. The hits cascade like a tsunami. Caroline’s terrified by what she reads. An obituary for her sister, JD? That’s absurd. With every click, the revelations grow more alarming. They can’t be right. She’d know. Caroline is hurled into a state of paranoia—upending her blissful family life—desperate to prove these allegations false before someone discovers they’re true. “I especially love this genre of thrillers because they hit closest to home, both literally and figuratively, and are the most unsettling because of that. THE MEMORY BOX, like the other marriage thrillers in its genre, like Gone Girl by Gillian Flynn, You Should’ve Known by Jean Hanff Korelitz, The Husband’s Secret by Liane Moriarty and The Silent Wife by A.S.A. Harrison, exposes the age-old fear of “how well do you know your spouse?” at a time when everything is seemingly knowable. THE MEMORY BOX is a Houston Writers Guild 2014 Manuscript award recipient. What would you do if you searched your own past and uncovered something shocking? In this gripping marriage thriller, a group of privileged suburban moms amuse themselves by Googling everyone in town, digging up dirt to fuel thorny gossip. Caroline Thompson, devoted mother of two, sticks to the moral high ground and attempts to avoid these women. She’s relieved to hear her name appears only three times, citing her philanthropy. Despite being grateful that she has nothing to hide, a delayed pang of insecurity prods Caroline to Google her maiden name—which none of the others know. The Memory Box is FREE for a few days this week so be sure to get your copy!! I hadn't heard of this new genre before reading The Memory Box. Apparently it's called the marriage thriller and now that I know, it makes perfect sense. The Memory Box is a different kind of thriller, I can say that... but it's also so much more than that. When I first started reading, I thought it was about mental illness, until I really got into the book that is, and then realised, no actually it's not. It's about something much more disturbing, actually. It'll keep you on edge of your seat and at the end, you'll be pulling your hair out. If you love stories with twists, then this one is definitely for you. Oh and I'd love to see this as a movie... so Hollywood, are you listening?! The Memory Box is about a stay-at-home mom, Caroline Thompson, who lives in the upscale suburbs, where there's a group of gossipy moms who like to Google everyone in town to dig up dirt and then "spread the news." When they Google Caroline's name they only find three mentions about her, mostly about her volunteer work. At first Caroline is relieved they won't be gossiping about her, but then she feels insecure about "not being interesting." On a whim she Googles her maiden name, which she's sure none of the others know and she discovers a slew of stories about her. The problem is, she doesn't remember the things she's reading about herself. Furthermore, she's devasted by what she reads. Before she shares any of this with anyone, including her husband, she's determined to prove the sources wrong. I have found that "impaired memory" is a common denominator; most people can relate to forgetfulness on some level. The idea for THE MEMORY BOX came after I read a story in The New York Times about 'vanity searches' (like the ones done on Google). They called it the ‘hottest new power game.’ This was years ago when people were just starting to Google themselves. The story mentioned that a 17-year-old boy who was living in Los Angeles, Googled himself and discovered he was on a missing persons list in Canada. He had no idea until he Googled himself, that he was a victim of parental abduction. This was unimaginable to me! The fact that someone could find out something so personal about himself from a Google search was completely fascinating. It sounded like the makings of a great thriller concept. I was quite torn about the direction for the cover art. At first, I was sure I didn't want a face on the cover. I much prefer to allow readers to stick to the visual they create in their own mind. And I wanted the mood of a psychological thriller. But the book has crossover appeal and people who normally don't seek out thrillers, were hooked on it. Those readers prefer faces and "lighter" covers. I didn't want to miss the opportunity to reach them. But in the end I stuck with my gut. Most people think of a "memory box" as a beautiful keepsake box, maybe it's wooden and painted or quilted in velvet. Often the box itself is a keepsake. But, the one in THE MEMORY BOX is quite different. It's a large cardboard packing box. It's old, roughed up, very full, quite heavy, though I'm not at liberty to say what's inside. The title font is a bit fuzzy, much like memories are apt to become. My muse for Caroline, for a very long time, was Julianne Moore. However, she couldn't play the role now, since she's older than Caroline. Today I would cast Amy Adams. Jennifer Lawrence for JD, or perhaps Scarlett Johansson, whomever was available. My muse for Dr. Sullivan, was the late great Phillip Seymour Hoffman, I'm still too heartbroken to re-cast that one. The marriage thriller is the newest sub-genre of thrillers, and mainly of the psychological thriller category. There has been a spurt of thrillers recently in this category, like Gone Girl, The Husband’s Secret, The Silent Wife, to name a few. One of the reasons I think this type of psychological thriller is so hot right now, is while a married couple’s relationship has always been a fascination to outsiders, it’s especially so because these days practically everything is knowable; all you have to do is Google it! It truly is the last bastion of privacy. What goes on in someone’s marriage? Only the couple know. So when things are not so up to snuff, and we as readers get to be voyeaurs, what’s more delicious than that?! I must admit I never wanted to be a novelist. At different times of my life I wanted to be an astronaut, an actress, a singer, in the film industry, a travel or sitcom writer, a cupcake judge and, according to a third-grade personal essay I wrote, a baseball player. I am not one of those people who claim that from a very young age they knew they wanted to write a book. I started to write THE MEMORY BOX as a way to channel my creativity and myself into something. It was very soon after I had taken a sabbatical from my career as a communications executive in the cosmetics industry and I moved with my family from NYC to the NJ suburbs. I was experiencing the culture shock of a new career and a new town in which I knew no one. The suburbs as a stay-at-home mom, was very new to me. Writing THE MEMORY BOX was my way of staying creative, strategic and communicative, even if it was with a book! I ask my kids. It's great dinner conversation. When I'm in a rut and feel sapped of any creative juices, I can always refill the tank by watching movies, in particular anything by Wes Anderson. He's my favorite film maker. I love the absurd qualities of his movies. Films are great if you need a quick kick in the pants. You only have 2 hours? Bam. If you've got more time on your hands, as we know writers' block could stick around a while, I turn to books. There's nothing like reading an awesome book to inspire creativity or craft. Lastly, I get a ton of inspiration from lyrisists. I love to put some good music on in my car and drive around and sing on the top of my lungs. The sadder, moodier the music the better. I have long admired lyrisists. To be able to express so much in such a short space is enviable indeed. Well, I will write just about anywhere. I started writing The Memory Box in a composition notebook, the kind with the black and white cover. My kids were young and quiet time was scarce, so I'd bring that notebook to gymnastics classes, basketball practices, dress rehearsals for dance recitals and write, write, write. But my big thoughts come in one of two places: the car, so I always travel with a notebook for red lights and in a horizontal position, sometimes during a half-sleep. I transcribe my notes to the computer and edit like crazy. If I love a book, I have a rule not to see the movie. I like the visuals in my own mind. I have never seen a movie first and then read the book. I recently travelled to Northern England and was fortunate to visit Beatrix Potter's house. Her house has been turned into a "museum" of sorts with many of her writings and artwork placed throughout so people can get a sense of her creative process. On my way out of the house I asked one of the docents about the letter that Beatrix wrote to her former tutor which became the Peter Rabbit book. The docent told me that the author had sent her manuscript to many publishers and was turned down by all of them. That's when she decided to publish it herself. I was amazed by the confidence and conviction she must have had to do this in the 1800's! She also sold her book with a stuffed animal and board game, which was quite original at that time and a credit to her business and marketing savvy. For these reasons, I'd like to have dinner with Beatrix Potter. Years ago, I slept on the floor of the New Orleans airport next to Kurt Vonnegut when both of our flights were cancelled due to a fierce storm that flooded at the airport. Charles Addams, the writer and creator of The Addams Family, lived in my town and the mansion that provided the setting for his story is still in my neighborhood. I'm currently writing my second novel, also a psychological thriller. More on that soon! When I'm not writing suspense novels, I enjoy writing humorous musings about life's ironies which can be found on my blog evanatiello.com. Most fairytales scare me. As far as myths go, I'd have to say Pandorra's Box (obviously). An astronaut and a baseball player. Eva Lesko Natiello is an award winning author and graduate of The State University of New York at Albany with a degree in psychology. 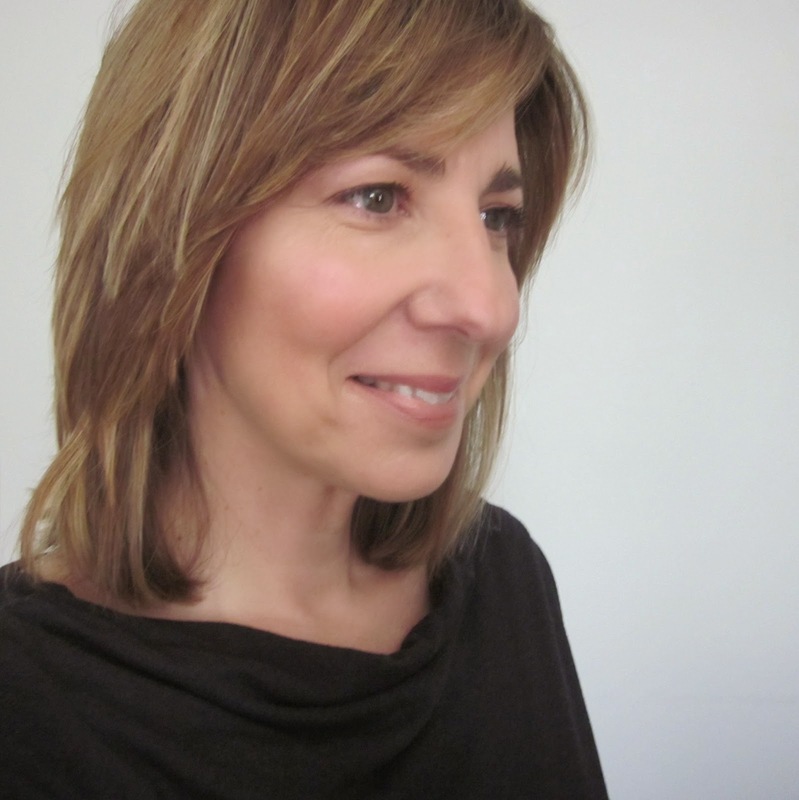 Her professional experience includes cosmetics industry Public Relations and Communications executive. Ms. Natiello is a native of Yonkers, New York and currently lives and writes in suburban NJ, which provides the setting for the fictional town in her debut novel, THE MEMORY BOX, a psychological suspense. It is a recipient of the Houston Writers Guild 2014 Manuscript award. She is particularly fascinated by misconceptions, especially when normalcy appears to be prevalent. This theme carries over to her second novel, currently in progress. 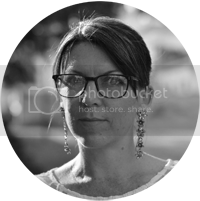 When not writing suspense novels, she enjoys writing humorous musings about life’s ironies, which can be found on her blog: writing from the intersection of oops, yikes and awe at evanatiello.com. Her short story, The Wordsmith, was a finalist in The Writer Magazine 2012 Best Short Story. According to Ms. Natiello, “The sign of a good day is when the creative process in some form—be it writing, painting, or singing—has pried its way into the mundane.” She lives with her husband and their two children. 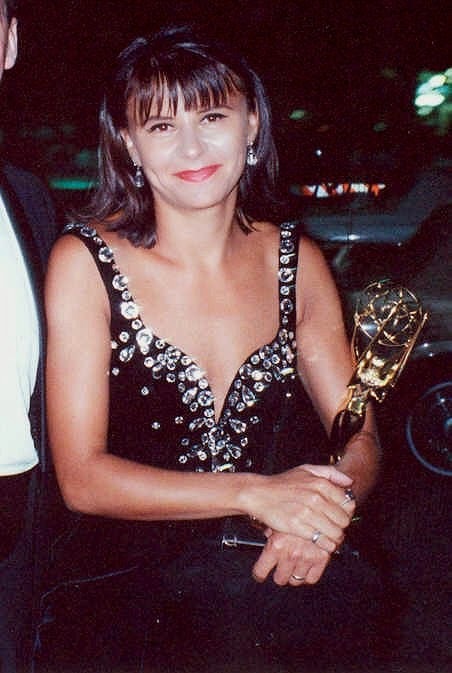 Eva Lesko Natiello is a former Estee Lauder communications executive who now writes and lives in suburban New Jersey. Her humorous essays can be found on her website at evanatiello.com. The Memory Box can be found on Amazon in paperback and e-book. 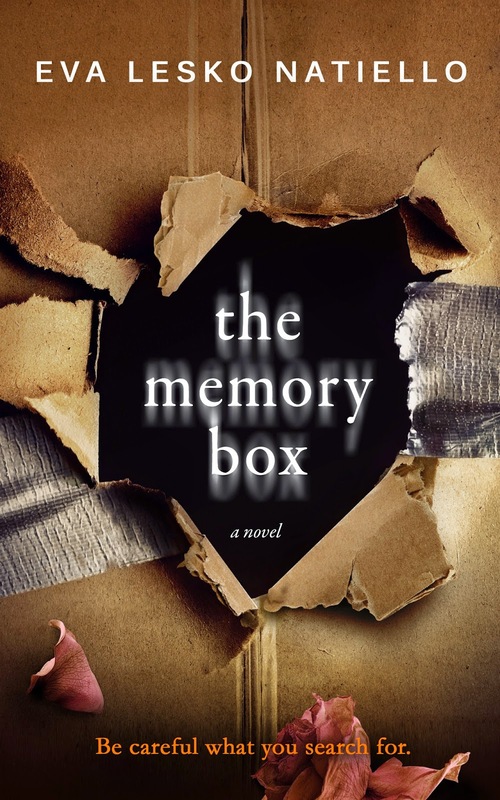 The Memory Box is a Houston Writers Guild 2014 Manuscript award winner. "The Memory Box is a literary rarity—a story of high imagination cast with characters who seem as authentic as they are complex. From the moment Caroline Thompson dares to Google her own name, the stakes and suspense develop, treating the reader to a "can't put it down" mystery."